ThinManager allows unprecedented control and security in a sustainable and scalable platform regardless of the size of your industrial environment or number of facilities. 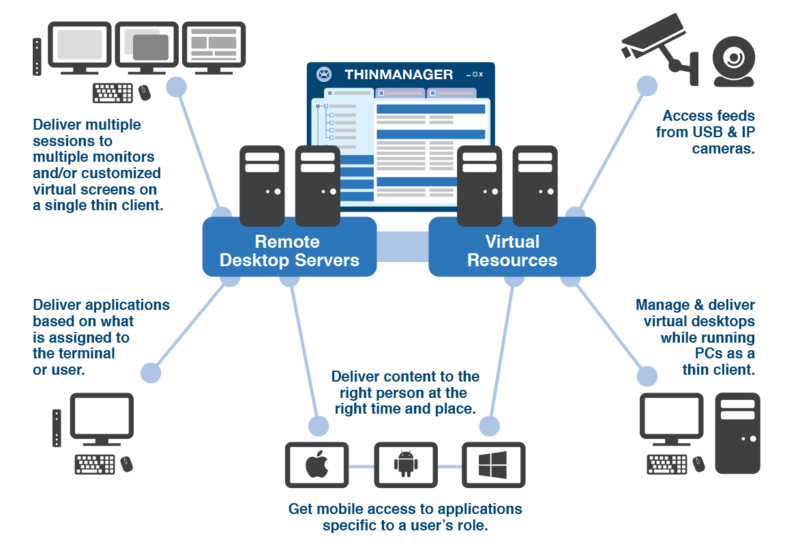 ThinManager's thin client architecture allows for deployment of less expensive hardware while giving users the applications and tools familiar to them in a format that reduces management and maintenance costs while increasing security. ThinManager provides a powerful set of tools that lets you focus on producing more with less downtime. Centralized management of applications and visual sources, all from a single user interface. Unprecedented control and security in a sustainable and scalable platform. by simplifying management of applications and visual sources. Display clients can be generated by a traditional session running on a Terminal Server, a shadowed thin client, an image from an IP camera, or VMWare® virtual machines. The sources of these displays are referred to as Display Servers. ThinManager's MultiSession core technology allows you to view multiple display clients with a single thin client. Using session tiling you can now view up to 25 Display Clients on a single monitor. Relevance for Users extends this functionality even further by allowing you to link display clients to a user instead of to a particular thin client. 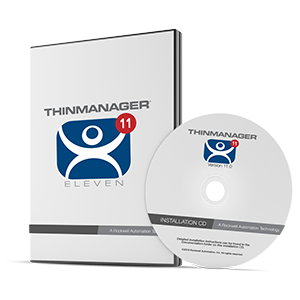 Users can then access their own display clients simply by logging in to any ThinManager Ready thin client. ThinManager renders display clients through a number of different types of thin client hardware available from multiple manufacturers. People are mobile. Technology is hyperfocused on mobile. Sure, it is a buzzword, but what is your business doing to adapt and take advantage of mobility? ThinManager offers Relevance. Relevance provides the ability to be mobile, within your defined locations, delivering the right content and applications to the intended employee at exactly the right time and place. We are talking location-based mobility that allows you to leave the control room and have your applications and content follow you. Mobility that allows you to go on-site at a project but have all your designated content delivered to you when you get there just as if you were at your office terminal. This is the mobility that keeps you securely connected to the factory of the future.